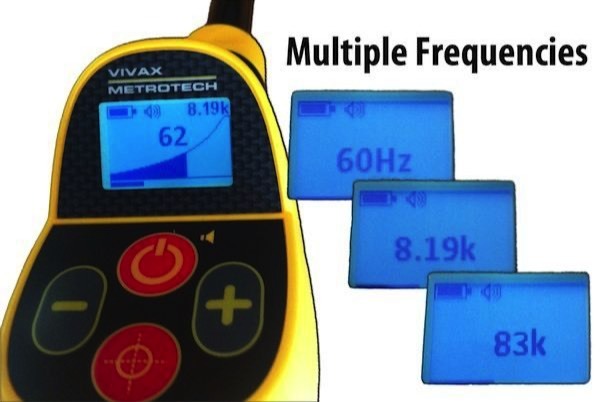 The VM-550 Compact Multi-Frequency Locator by Vivax-Metrotech is the latest generation of the very popular and affordable Metrotech 510 series legacy locators. 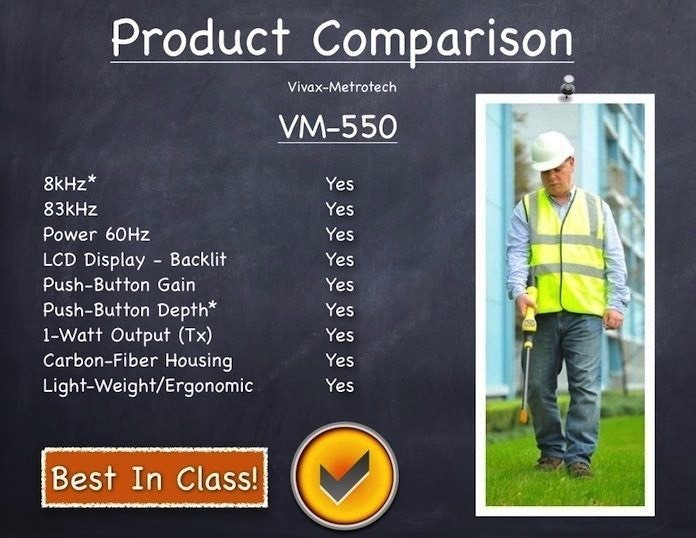 The VM-550 locator incorporates a state-of-the-art digital electronics platform, digital display, advanced gain control, push-button depth, offering faster and accurate location of cable drops and pipes. 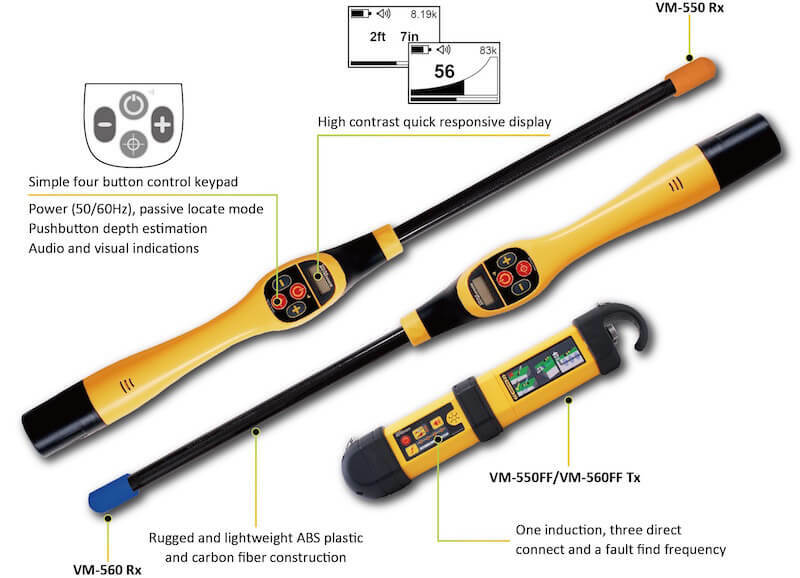 In addition the use of ABS and carbon-fiber materials make the VM-550 series one of the most affordable and light-weight locators ever developed. Application: Cable & Pipe locating. 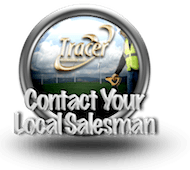 Perfect for CATV, telecom drops & power service lines. 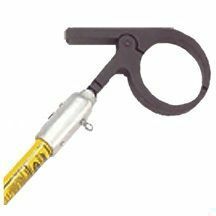 The 2" clamp is used for smaller telephone cable applications, CATV, and fiber optic cables. 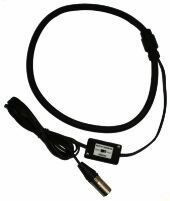 The 4" clamp is often desired for telephone and some power applications. The 5" clamp is the new industry standard. 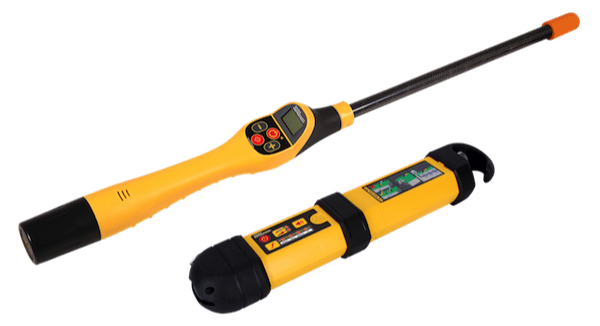 It allows signal application on 4" and larger conduit. 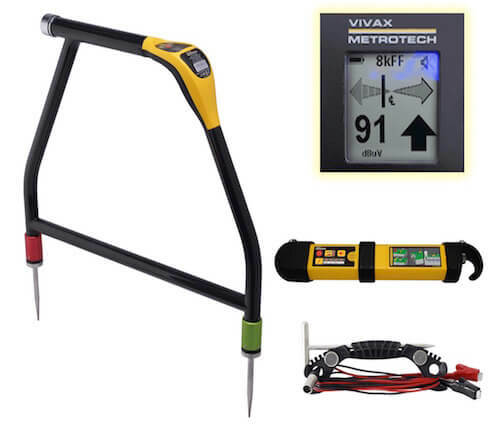 This is the most popular clamp selection for users primarily locating underground power cable. Flexi-Clamp is primarily used for aerial cables transitioning to underground under protected U-guard, making it nearly impossible for smaller clamps to be used. 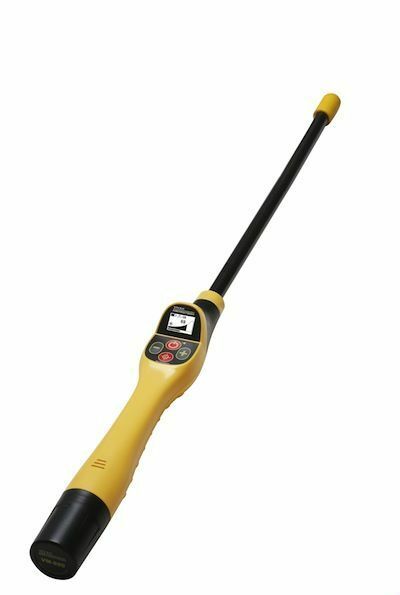 Also can be used to apply signal to large bunches of cables.